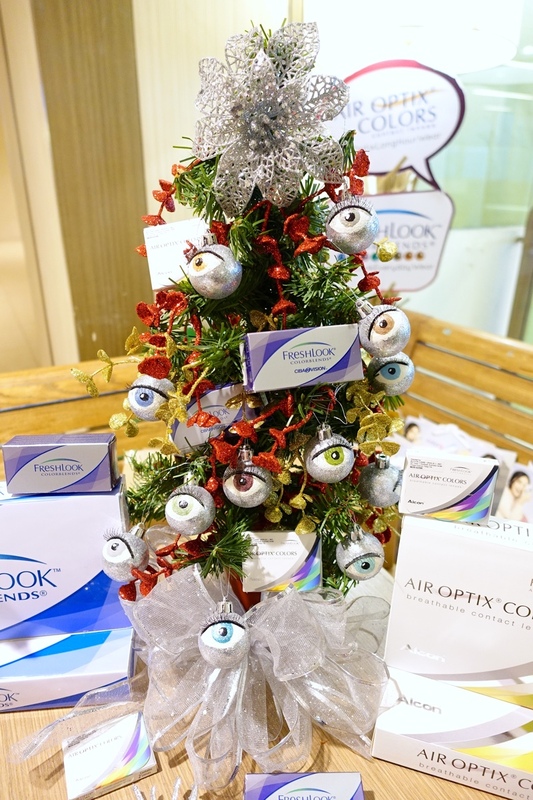 AIR OPTIX® COLORS and FreshLook®Color Contact Lenses are designed to enhance dark or light eyes and bring out one’s natural beauty. They are made with a unique, smooth surface and feature a technology that combines 3 colors -in -1 to blend naturally with the color of your eye. Women can now choose to have AIR OPTIX®Colors for Long Hour Wear or FreshLook® for Everyday Wear depending on their lifestyle. These lenses are available with or without vision correction. AIR OPTIX®Colors and FreshLook®, both designed to create beautiful, natural looking eyes, while providing healthy vision and consistent comfort throughout one’s wearing period have their own special wearing modalities. Knowing how long you want to use your contact lens in a day matters. Just like our bodies need to breathe, oxygen is also essential for the health of the cornea, the clear, domed-shaped front part of the eye. Insufficient oxygen may cause corneal swelling and lead to irritated and red eyes which may bring about uncomfortable lens wear. 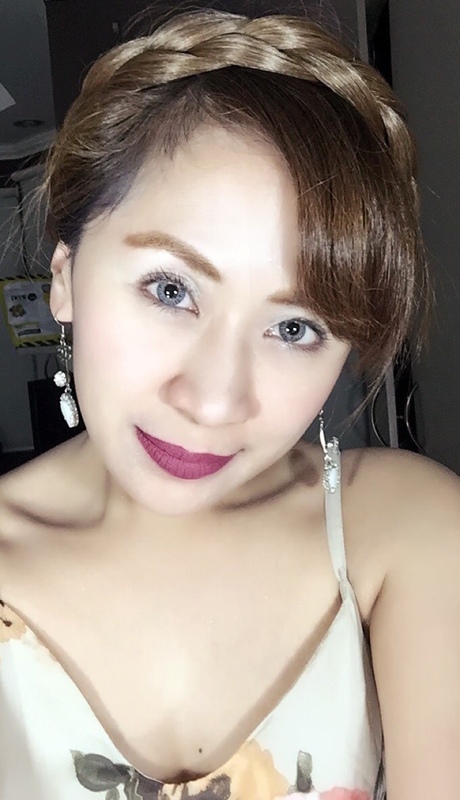 I have a perfect vision, but I still love wearing Air Optix Colors and FreshLook Contact Lenses to enhance my eyes. I love that these brands are safe and comfortable to wear. AIR OPTIX® Colors is made up of proprietary “silicone hydrogel material which allows plenty of oxygen to pass through the contact lenses; therefore they are perfect for LONG-HOUR WEAR. FreshLook® on the other hand, used the classic hydrogel material and is best for EVERYDAY WEAR. 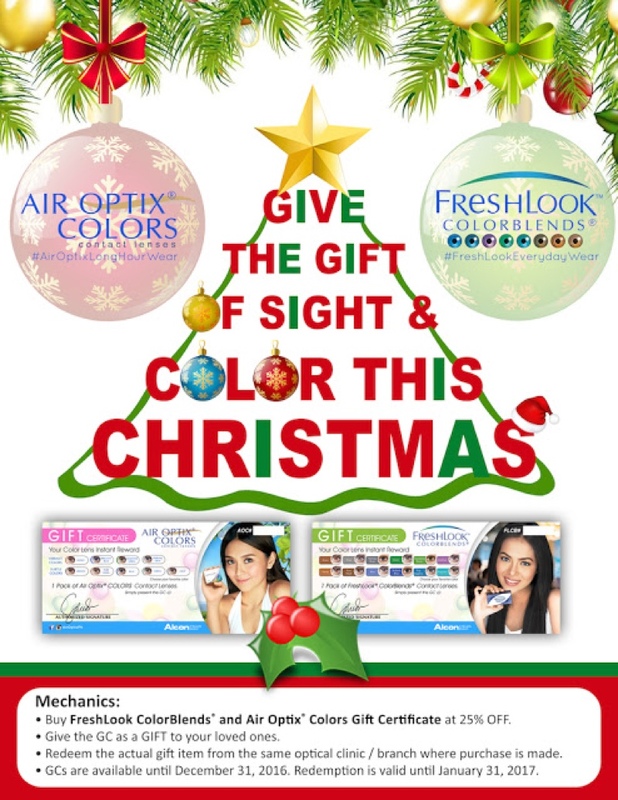 This December, FreshLookColorBlends and Air Optix Colors Gift Certificates will now be available in leading optical clinics at 25% discount. FreshLook® will now only be @ 896.00/pair instead of P1195.00 and AIR OPTIX® COLORS will now only be 1121.00/pair instead of P1495.00. Hi Ms. Rochelle! Im just using contact lenses na binili ko online (cheaper). But I know na mas safe and tested ang Freshlook Lenses. Perfect gift for Christmas. Merry Christmas Ms. Rochelle! Lakas maka bata nung contact lens sayo hihi! Bongga! 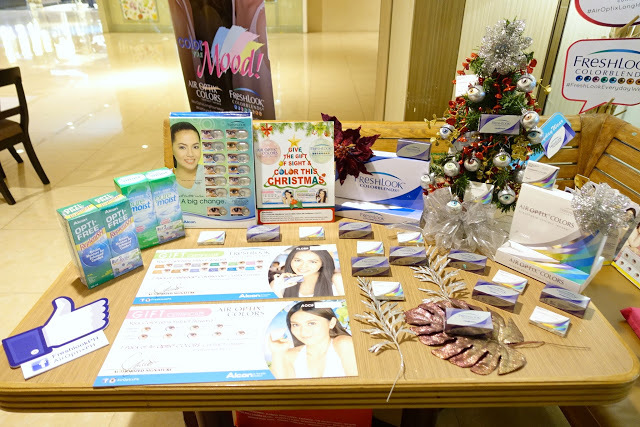 total it's Holiday naman po tlga kaya dahil dyan, feel na feel po tlga ng mga costumers ang Love and support na ibinibigay ng product na iyan! Ang cute ng Christmas tree,!! Gusto ko rin mag contact lense kaso prang masakit, your so pretty even without contact lense Ms. Rochelle, kasi mapungay po yung eyes mo..
Me too. I do have a 20/20 vision so, I never thought of wearing contact lenses. I have tried putting these pero di ko mailagay. Hahaha.